The Holidays are upon us. The Holidays are a time for family, friends, and fun, which also means an increase in travel. Before you start any Holiday road trip, even a short one, follow this 10 minute vehicle checkup guide to make sure your vehicle is ready to tackle the road. There is nothing worse than running into car problems during the holidays. Tire Check: Check your tire pressure and tire tread. Optimal tire pressure for your vehicle can be found on the door jam of either the passenger or driver side door, depending on your vehicle. If you see worn tread, bulges or bald spots, get your tires changed before you start your trip. Fluid Check: Check and top off all fluids. Fluids include engine oil, power steering, brake fluid, transmission fluid, windshield washer fluid, and antifreeze/coolant. Make sure your coolant is a 50/50 mix of antifreeze and water. Also, remember to bring extra coolant for the road. Belts and Hoses Check: Check your belts and hoses for cracks, brittleness, fraying, looseness, and signs of excessive wear. Broken belts and leaky hoses are a common reason cars breakdown during road trips. Make sure they are in proper working order before your trip, since they keep your electrical system, air conditioning, power steering, and the cooling system running. Lighting Check: Make sure to check all your exterior and interior lights before you embark. A burned out light will increase your chance of getting into an accident. Wiper Check: Check the edge of your wiper blades for cracks, brittleness, and rounded edges. 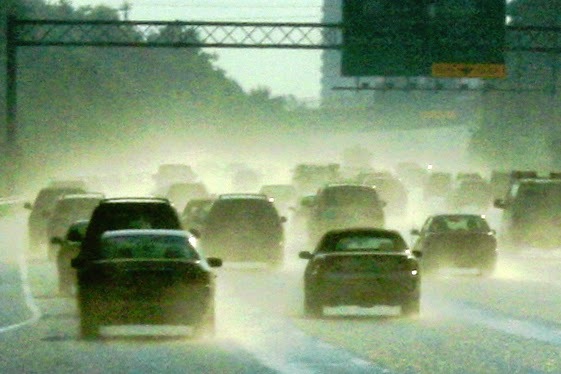 If you see any of these problems, replace your wipers before you start your trip. Wipers that can’t clean the windshield properly are dangerous, especially during road trips. Jiffy Lube of Indiana is also here to help you on your Holiday way. We will check all these vital parts of your vehicle as part of the Signature Service Oil Change. Just stop on by your local Jiffy Lube of Indiana service center at your convenience, and one of our qualified technicians will get your vehicle ready for the Holidays.